Can I Estimate My Financial Aid? The Office of Financial Aid works to assist prospective and current students with the application process and in finding sources of financial aid to pay for college. Purdue University Northwest (PNW) participates in Title IV federal, state and campus-based financial aid programs. It is recommended that ALL Purdue University Northwest students apply for financial aid, regardless of whether or not you believe you would be eligible. To find out if you are eligible for financial aid - federal, state, institutional, or private – YOU MUST APPLY! Other requirements may apply. For more information, please contact the Office of Financial Aid. You certainly can! An on-line Financial Aid Estimator is available to help students and families plan for educational costs at Purdue Northwest. Applying for student financial aid is an annual activity that may begin as early as October 1, prior to the academic year the student is attending (beginning 2017-18). The Free Application for Federal Student Aid (FAFSA) – or, for previous filers, a Renewal FAFSA – is the key to determining the type and amount of assistance a student can receive. Students who submit the FAFSA by April 15th prior to the academic year they will be attending, will be considered for state and federal financial aid. Those filing after the April 15th priority date may be considered only for federal financial aid programs. Students must complete the FAFSA; in addition, students and/or families may be required to submit other documentation as requested by the Office of Financial Aid. Students who wish to be considered for a donor-funded scholarship must submit the general scholarship allication by February 1, prior to the academic year the student is attending. Some scholarships require a seperate application, which must be submitted for consideration. Some scholarships may require a separate application, information is available here. Details on types of Financial Aid available at Purdue Northwest are available from the Office of Financial Aid and on the PNW Financial Aid website. When you complete the FAFSA, the information you report is used in a formula established by the federal government that calculates your Expected Family Contribution (EFC). The formula considers many factors including income, assets, taxes paid, family size and number of family members in college when determining the family’s ability to contribute. If you feel you or your family have unusual circumstances or expenses that may affect your EFC, contact the Office of Financial Aid. Financial aid eligibility is based upon a determination of your financial need, which is the difference between the estimated cost of attendance and your Expected Family Contribution (EFC). Additional information on cost of attendance and financial aid budgets is available here. There are several important dates that can impact your financial aid. Visit the Important Dates and Deadlines webpage often to check on dates and deadlines. Remember, it is your responsibility to verify your account status with the Office of Financial Aid and fulfill your payment obligation prior to the Final Payment Date or your classes may be cancelled. Changes in enrollment may result in a revised financial aid award. You must notify the Office of Financial Aid should you change your enrollment, stop attending, or drop below a half-time status. 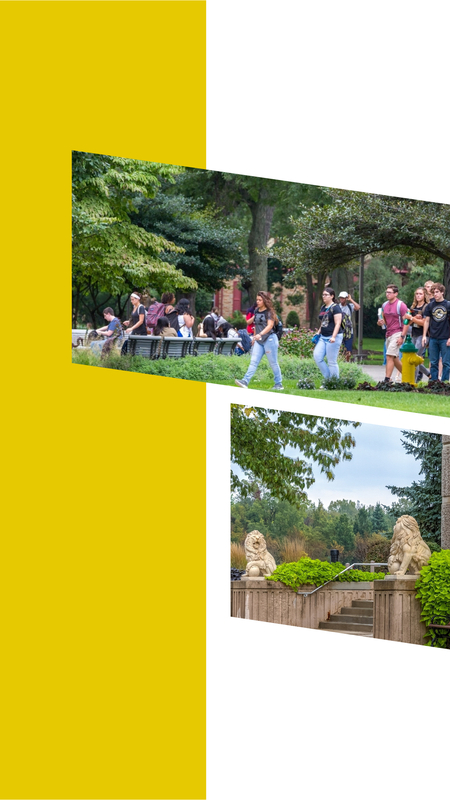 Purdue University Northwest will provide financial assistance to students whose academic progress meets certain criteria set forth by the University. To remain eligible for aid, students must make satisfactory progress toward a degree as outlined in the Satisfactory Academic Progress Policy, which is available upon request in the Financial Aid Office or on the Financial Aid website. Credit hours transferred from other institutions will be included in the number of semester credit hours earned when these hours are accepted in a specific degree area. Credit hours are counted regardless of Financial Aid status. Letter grades of E, F, I, W, and N do not count as earned credit hours for progress. Students who do not successfully meet satisfactory academic progress requirements will be denied federal and state aid (including grants, scholarships, loans, and work study employment). Financial Aid recipients will have their academic progress reviewed at the end of each semester. Students may appeal financial aid denial by following the procedures outlined in the Satisfactory Academic Progress Policy.